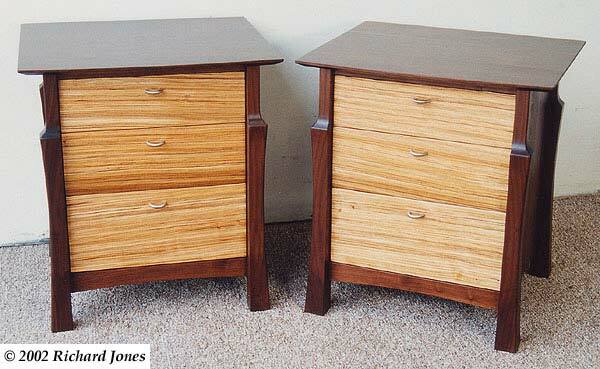 A pair of commissioned bedside cabinets. 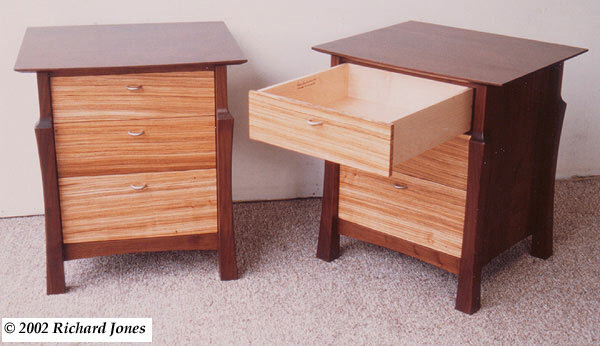 The client saw the Graduate Cabinet at an exhibition and asked me to make a pair of bedside cabinets based on that design using walnut and zebrano. I tried hard to persuade the client with sketches and examples that I believed running the grain of the zebrano vertically would be most attractive. 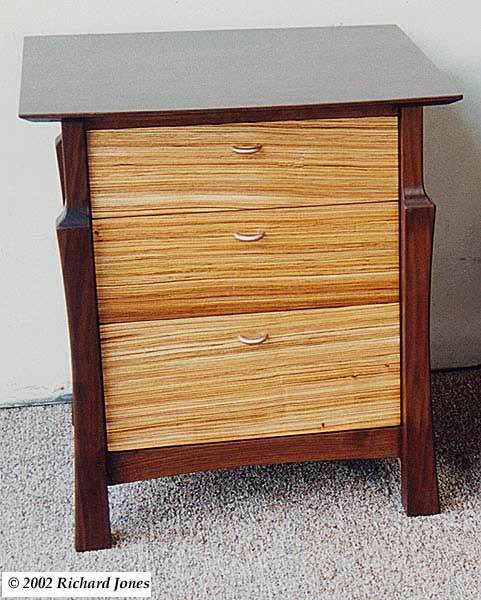 This is best accomplished using veneers, and I like a match to create a chevron pattern of some sort with the join centred on the centre of the drawer front. A slim solid zebrano edging is ideal to protect the delicate edges of the veneer and this frames the pattern. The client was very definite about his preferences: he wanted a solid zebrano wood drawer front with the long grain running left to right. The customer is always right is, of course, a tired old cliché but I was not going to pass up the opportunity of depositing $9000 into my bank account just because of my artistic sensibilities. 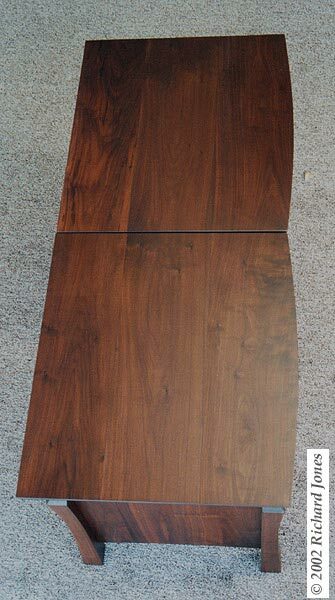 Guide Price for similar: $4500- £6500 dependent upon specifications.